Lately i was suffering to some recipes where in i encountered this word canapé recipes.My increased curiosity led us to a hotel themed with canape cuisine. 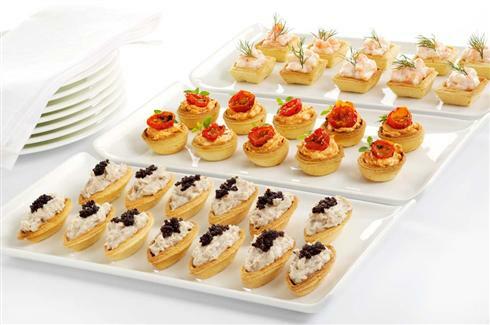 A canapé is a small, prepared and usually decorative food, held in the fingers and often eaten in one bite. Being a vegetarian few canape recipes go well with cocktails are:- Tomato tarte tatins and Mini lemon Tarlets.